Somerset Rebels Speedway Official Website: IT ALL STARTS HERE! SOMERSET speedway's 20th season begins tonight (Wednesday 3rd April) amidst an air of optimism and excitement. 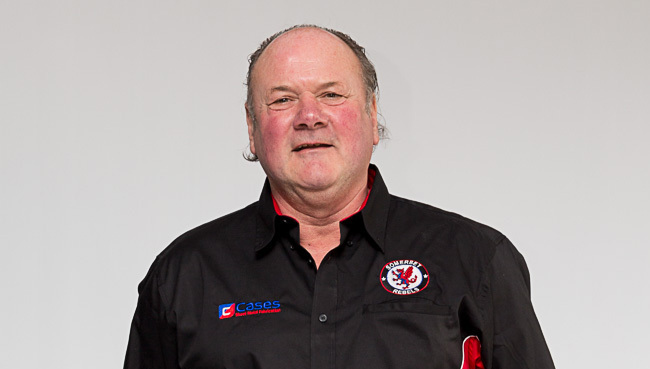 Rebels team manager Garry May remains confident that the Rebels will be a force to be reckoned with during 2019 and has called on his team to show their intent from the very outset. May said "We start with a challenge fixture against Poole to commemorate the fact that this is the club's 20th season, and I am hoping that we can clock up our first win of the year. Whilst the meeting will give the boys chance to sort a few things with their bikes and for the new boys to get the feel of the track under racing conditions, I will be making sure they all know what I will be expecting of them throughout the season." Tonight's challenge meeting against Poole launches at 7.30pm and Season Ticket holders are reminded that their ticket DOES apply for this meeting. Besides being a 20th Anniversary celebration the evening will also be in memory of Hughie Amor, a good friend of both clubs, who sadly passed away in January. Members of Hughie's family will be special guests at the meeting which will conclude with an individual heat featuring Chris Harris, Todd Kurtz, Brady Kurtz and Jack Holder. It will also be the last opportunity for supporters to purchase tickets for the club's 20th Anniversary Dinner which takes place on Saturday night.